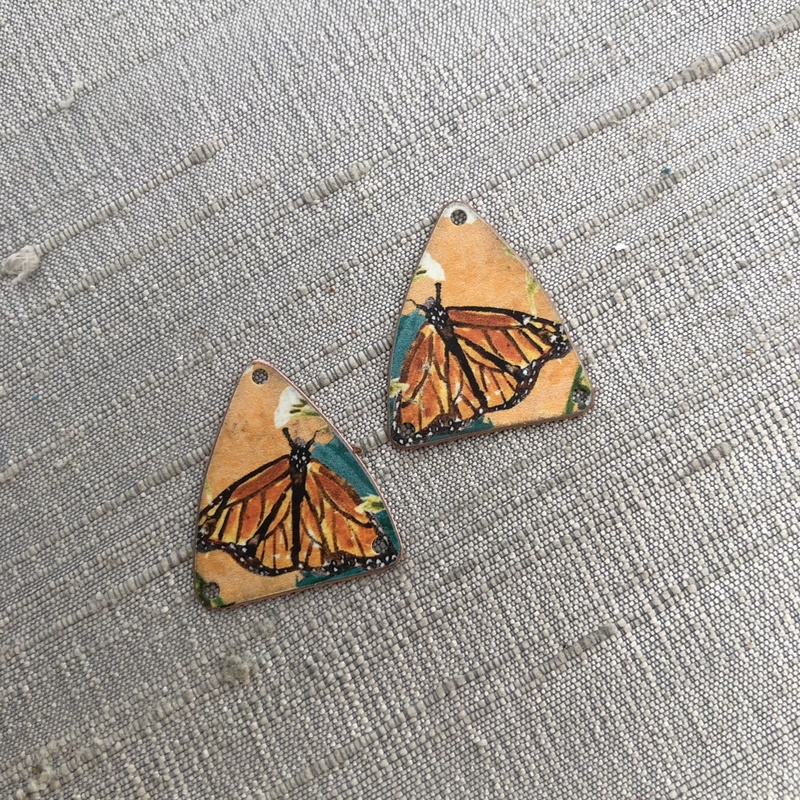 Looking for a unique compoment to add to your next pair of earrings? These earring charms features a design of my original artwork! Holes: the charms come with one hole at the top and two at the bottom. Charms measure 1” L x 3/4" W.